The CBD Product Finder has listed the top full spectrum CBD vapes below. Full spectrum vapes may contain up to 0.3% THC. These products were chosen based on quality, price and effectiveness. Summary: CBDfx has the best full spectrum CBD vapes. 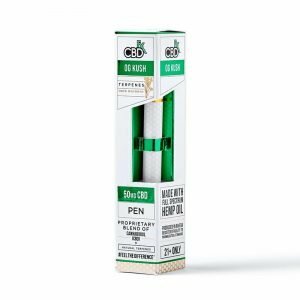 They have disposable pens that are smaller in size and potency but the work great because of the the natural terpenes in their full spectrum blend. They also have higher potency vape juice. 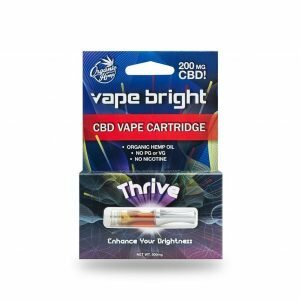 Summary: Vape Bright is an industry leader specializing in prefilled CBD vape cartridges. If you don't have a battery, don't worry because they have a starter packs that include a solid battery and charger. 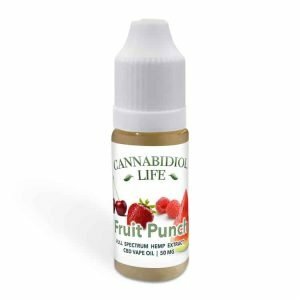 Summary: Cannabidiol Life offers CBD vape juice refills and prefilled vape pens as well. There full spectrum blend is very effective and we love the variety of flavors they offer.